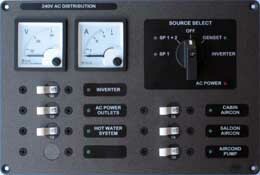 Panelec designs and manufactures electrical and facia panels for use in dash, helm and electrical power distribution applications. Quality workmanship, innovative product features, and fast prototype turnaround make Panelec a supplier of choice for manufacturers in the marine, automotive, industrial and RV fields. All of our panel products share a common heritage: they are expertly designed to ensure they perform in the most demanding conditions, and they do it in style. 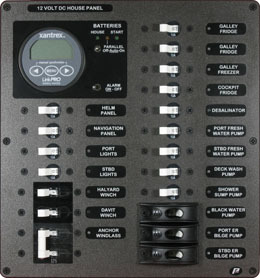 Panelec electrical power distribution panels are widely used in the marine industry where they are not only designed to make vessel manufacturing, assembly and installation tasks easier, but the installed product is user friendly and aesthetically pleasing. Our dash and helm panels meet the high standards of some of Australia’s most influential and highly regarded boat manufacturers and now, the growing recreational vehicle industry is realising the benefits of using stylish, simple and smart Panelec products in their speciality products. 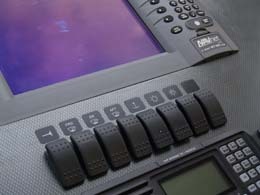 We can produce a prototype in a short time frame to encompass your latest design needs. Our manufacturing process is geared to fast turn time. Through our engineering and R&D efforts we continue to generate an extensive CAD library of industry specific instrument and control products. Our design, engineering and manufacturing are focused on electrical control panels, instrument panels and instrument clusters, and we can deliver just in time to meet your schedule and commitments.